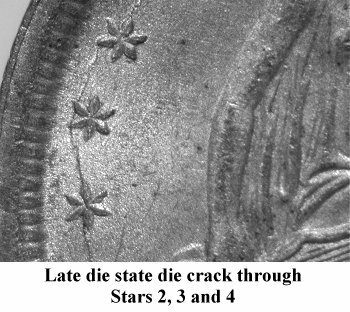 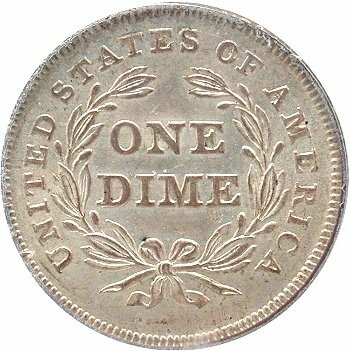 Comments: Early die state 1838 Small Star dimes are always found with a die crack through Stars 1 - 6. 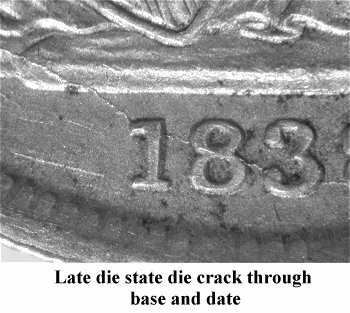 During the later die states, the die cracks continue to extend through the rock and across all date digits. 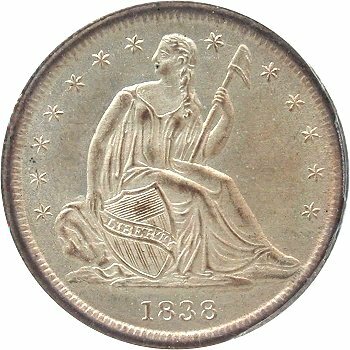 The denticles under the date show considerable die erosion. 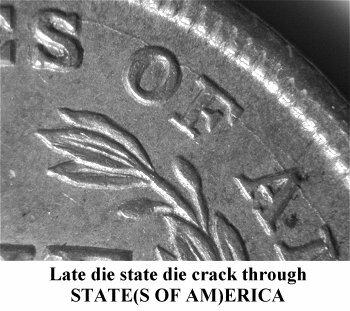 On Reverse A, a significant die crack is evident from the (S)TATES, down through OF and across the tops of (AME)RICA. 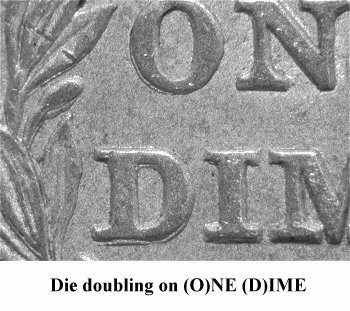 Reverse A is strongly doubled on (O)NE and (D)IME and throughout the wreath.